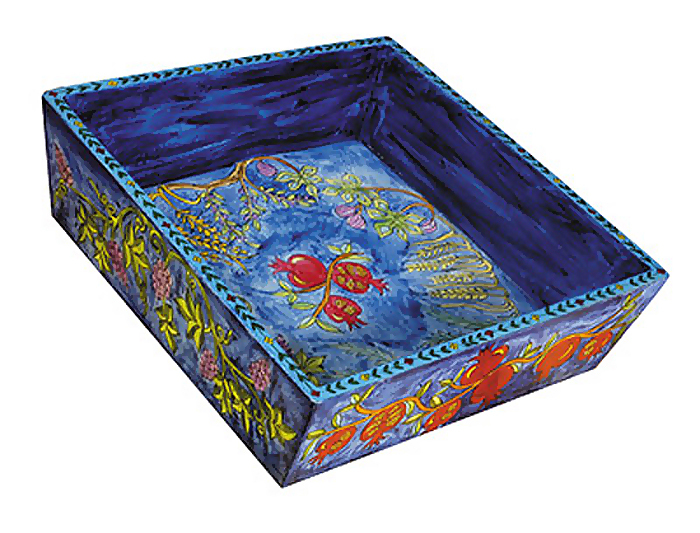 Brightly painted wood square Matzah plate designed by Yair Emanuel will add an colorful touch to your Pesach Seder table. This square matzah plate has a handpainted depiction of the seven species of the Land of Israel, which matches the Seder plate. The outside 4 sides also continue the seven species theme. Laminated for safe use. Hand-wash after use.